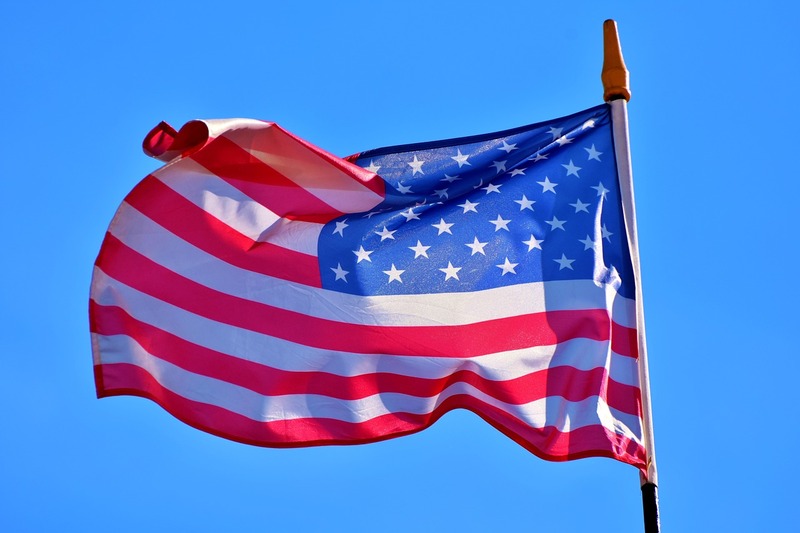 We lose 20 Veterans each day to suicide because the resources they have like prescription drugs; such as opioids, and counseling, have not fully healed their trauma. Donations Accepted at bottom of page on a Secure Server. 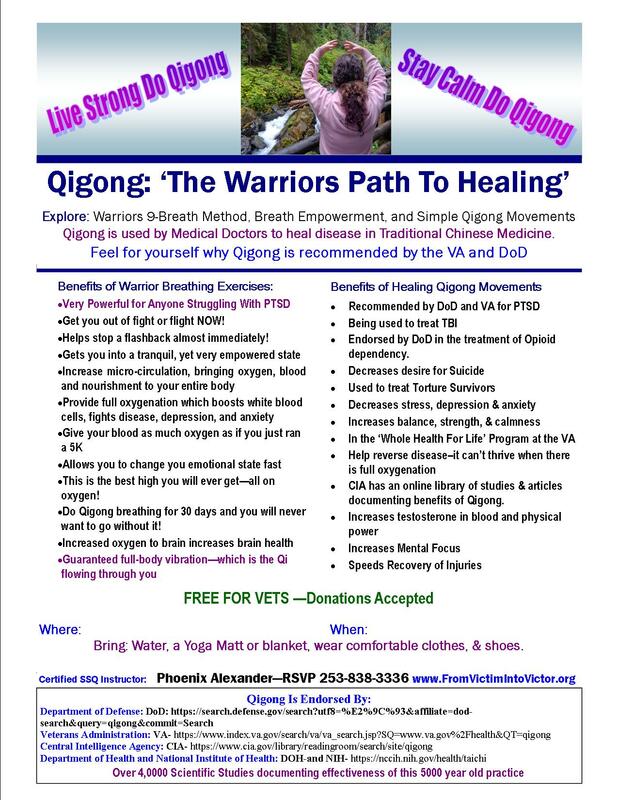 Why: I am creating a movement to support our Veterans to heal through Qigong, Warrior Breathing, and through sharing my own story of healing from surreal abuse and violence. 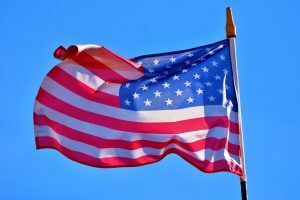 I have met with many non-profit Veteran’s organizations since being an Exhibitor at the Veteran’s Resource Fair at The Tacoma Dome in Washington state in April 2018. When I explain to Veteran’s groups how Qigong helps Veterans overcome depression, get out of flashbacks, and suicidal thoughts, and help heal Traumatic Brain Injury– Everyone wants me to bring Qigong to the Vets in their organization, with one criteria, I have to donate my time and do it for free. As much as I would like to do that it, is not financially feasible. I am self-employed. And time spent teaching the Vets is time away from how I earn a living. I have spent thousands of dollars and years of training to become a Certified Qigong Instructor and Professional Speaker. I need your help to give those who have given us so much to us a solid chance at serious healing. I have seen firsthand what Post Combat Stress can do. I am the proud granddaughter of a WW1 (World War 1)Veteran who served in France and came back from the war not even 19 years old with “Shell Shock” or Post Traumatic Stress as we call it now. He had severe damage to his stomach from drinking water contaminated with mustard gas. He enthusiastically joined the war at 16 and came home hemorrhaging emotionally and physically in his stomach. In his last years he had nightmares and hallucinations about the enemy he had been forced to kill. He would leave the nursing home at night to go find, and try to fight, the enemy he believed was still after him. The nursing staff were all afraid he would freeze to death outside when he found his way outside. It was harrowing to see his suffering. His trauma affected his life in every facet, and his children’s and their children’s lives–like mine. In fact, studies now show that the epigenetic coding around the DNA, which controls whether genes manifest disease or health, are altered in trauma survivors and passed down through 4 generations. That means me and my children are affected by my grandfather’s trauma. I am a survivor of very significant trauma of my own. We have Veteran’s now that are emotionally hemorrhaging and need proven methods for healing their minds and bodies. I want to take this 5,000 year old healing practice to our Vets– first in the Seattle area and then nationally. You may never have heard of Qigong. Qi is the bio-magnetic or bio-electric energy found in every living thing. In Qigong practices, we use deep breathing and simple, easy postures to gather Qi and bring it into our body to use as our body needs it. There is real science behind Qigong and I challenge you to do an internet search of any major illness and Qigong and see how many documented studies have been done to show the healing benefits of Qigong. Qigong is the practice of Ancient Warriors, and was practiced by the most elite warriors in China who used Qigong as their secret weapon to increase their strength, focus, and heal rapidly after battle. It was a very closely guarded secret and not everyone passed the test and was allowed to learn it. It is a very powerful practice that needs to be available to our modern warriors, and I want to bring it to other warriors. It has been compared to a moving meditation. Calms the mind and body and gets you out of fight or flight and into a rest and digest state. And so many other powerful benefits that I don’t have time to name. Please help me raise $20,000. to bring Qigong to our Veterans through Qigong Seminars, and Keynote Speeches for healing trauma, and Post Traumatic Stress. Your contribution will allow me to travel, rent venues where I can teach the Vets Qigong and it will also allow me to follow up with them providing resources for their continued progress. 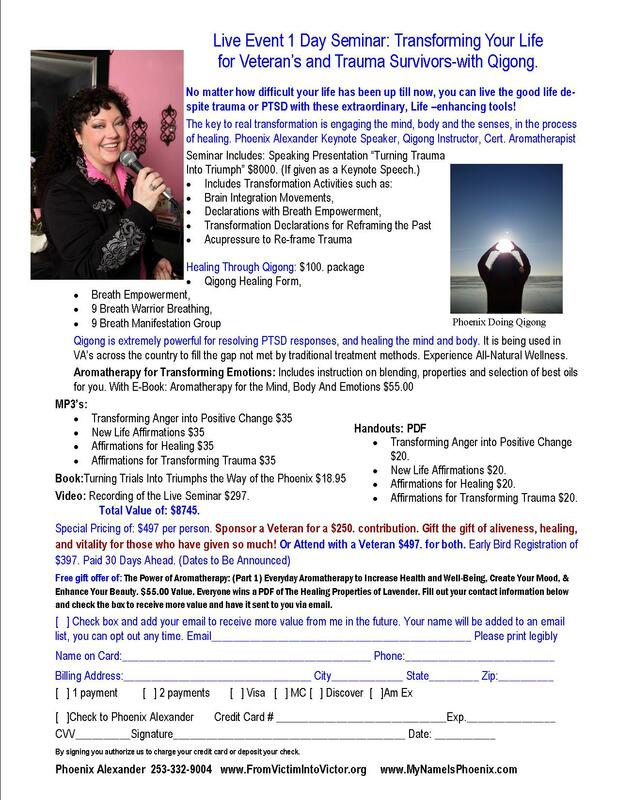 Your donation will allow me to share my story of hope and healing from surreal violence and trauma, and a life-threatening illness, and how Qigong has helped heal my life. Please join my movement “The Warriors Path to Healing.”© And donate now. Together I believe we can save lives! Let’s stop the suicides. You will receive a Gift with Your Donation that is Qigong related. Thank you for helping me to help our Modern Warriors to have a shot at some serious healing! We can do a fundraiser to bring this vital practice to your group. With sufficient contributions I can bring this 1 Day Program to Veterans.